Damavand Mountain is the highest summit in Iran and the highest volcano in all Asia. This giant 5,671 meters volcano is situated in the central part of the Alborz Mountain Range in the south coast of the Caspian Sea north-east of Tehran, Iran. Damawand Mountain is a perfect cone-shape volcano, it has a narrow peak with snowcap. 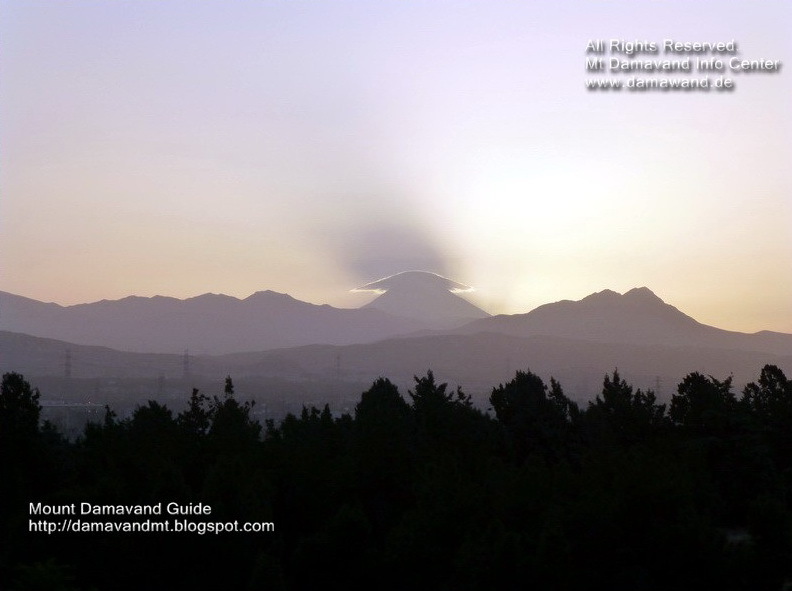 Damavand is surrounded by many beautiful peaks of the Alburz Mountain Chain such as Doberar Mountain. Many climbers have dreamed of standing on the peak of Damavand, a giant (18,606 feet) high mountain, the highest summit in Iran. Now it is the time to let your dreams come true. We have a team of the most experienced Iranian mountain guides who are mainly focused on Mount Damawand Iran. 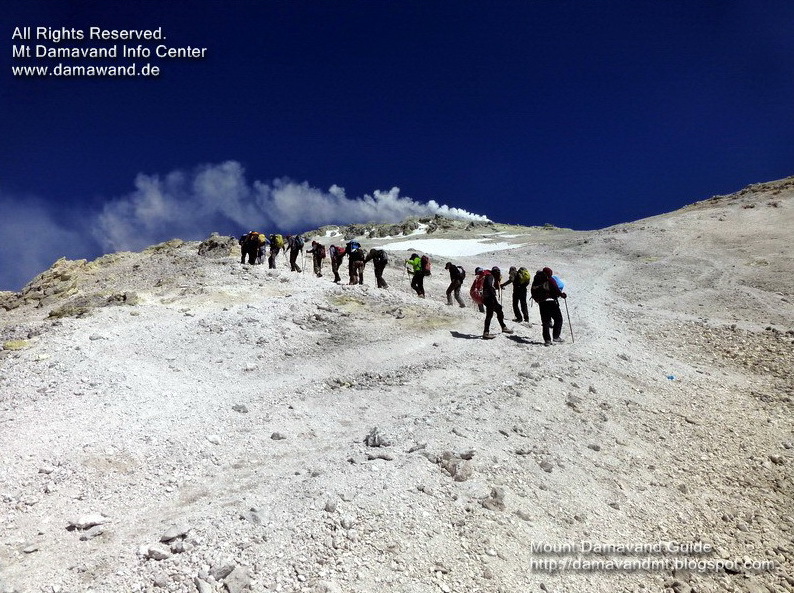 Many mountaineering groups, individuals and tour agencies use our guiding support each year. More in Damavand General Info FAQ. The snowy peak of Damavand with its regular cloud caps is one of the most beautiful sight of Iran.There is no recorded historic eruptions on Damawand Volcano so that is why some people believe it is a silent volcano. But Volcano Damāwand is considered as a potentially active dormant volcano as it has fumaroles and sulfur gas coming out near the crater. How to Climb Mount Damavand Iran. Mount Federation Iran. damavand mountain iran, damawand mountain, how to climb, iran mountain trekking, climb iran mountains, iran skitouring.